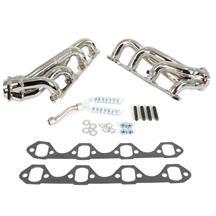 Increase the horsepower and torque in your 5.0L or 4.6L motor with performance 1994-2004 Mustang headers from Late Model Restoration. 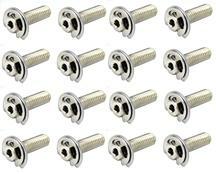 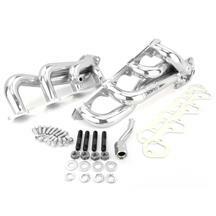 Choose from chrome, ceramic, or black finishes from BBK and Pacesetter to get the perfect set for your application. 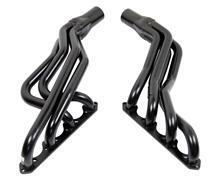 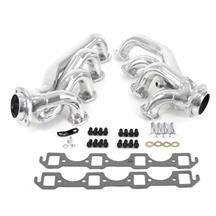 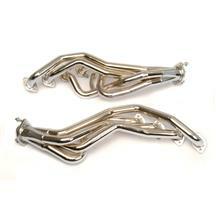 These wider headers replace OEM exhaust manifolds, flowing more exhaust which creates more power. 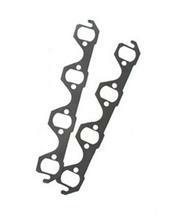 Finish up your install with a set of replacement header gaskets, O2 sensors, O2 extensions, and MIL eliminators. 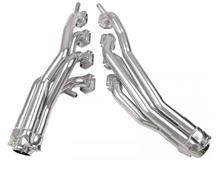 Fitment: 1994, 1995, 1996, 1997, 1998, 1999, 2000, 2001, 2002, 2003, and 2004 Mustangs. 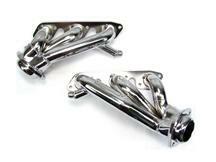 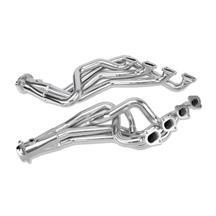 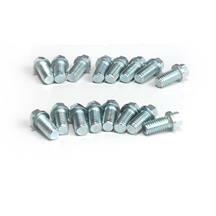 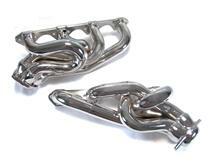 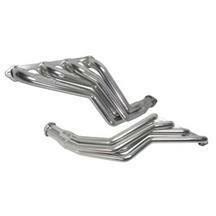 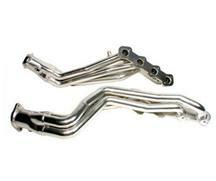 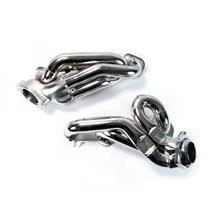 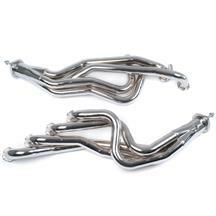 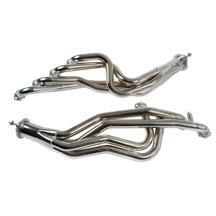 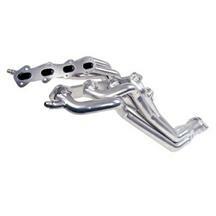 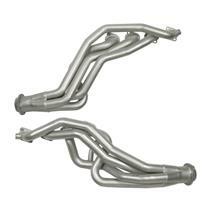 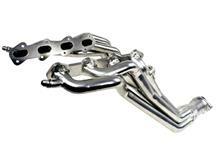 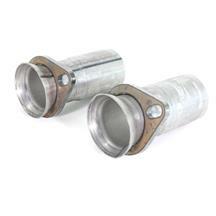 Give your Mustang more power with a set of 1994-2004 Mustang headers from BBK and Pacesetter. 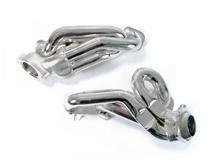 These headers are wider than stock exhaust manifolds, allowing more exhaust to flow. 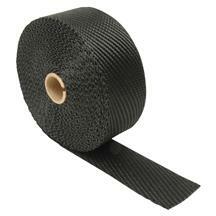 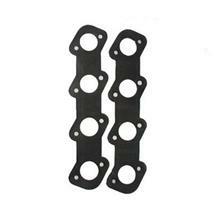 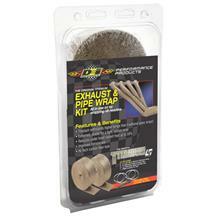 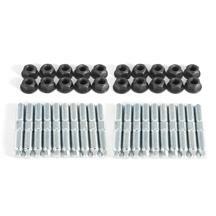 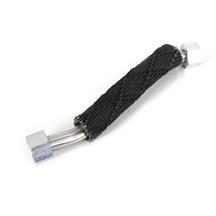 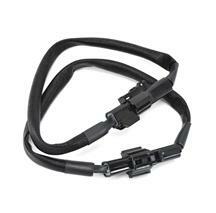 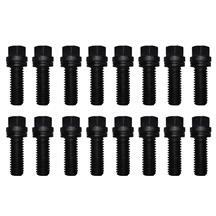 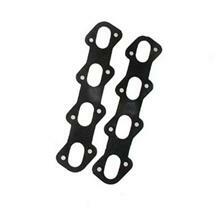 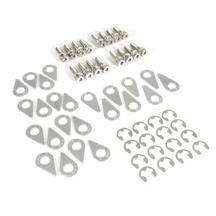 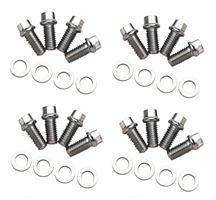 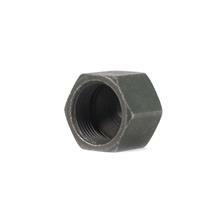 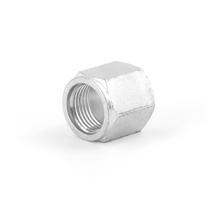 Pick up a set today with new header gaskets, and O2 sensor extensions to get your install done quickly and easily.